These translations were done in the conviction that a translation of Mallarmé should at least be allowed to sound like interesting modern poetry, and that the strict (or even the very lax) use of rhyme and regular metre is one of the surest ways of forbidding that from happening. Metrically, translators tend to assume equivalences between French forms such as the alexandrine and the English iambic pentameter, despite English prosody being accentual-syllabic and French not; these, too, Manson rejects. Such is the nature of Coffey’s method of translation that the reader is continually made aware that English is constructed out of foreign materials. A stimulated awareness of the diachronic dimension of language enriches the meaning of the line but, more significantly, it is another way of inscribing foreignness into the translation. The most celebrated instance of this approach in modern poetry is perhaps Nabokov’s 1964 translation of Pushkin’s Eugene Onegin. Abjuring the liberties and readability of the Anglo-friendly version, it preached fidelity above all else and was widely attacked as an eccentric curiosity. The readable versus the awkward, surface versus depth, inscribe an opposition of smooth versus rough. Pound’s early translations shocked readers with their slangy register, but also had frequent recourse to archaisms, as in his translations from the Anglo-Saxon and Cavalcanti (a poet that Manson has translated ‘after Ezra Pound and Louis Zukofsky’). Whether erring on the side of the slangy or the archaic, what the translation refuses is the transparency of a naturalized text, readable as though an English original. Till now that Death had always been His major thesis. Solution of a laudanum necropolis. The transformation ‘to Himself’, the tribe reunited with its words (minus ‘scribblers’), the non-specific black swill (Mallarmé’s noir mélange – laudanum is reddish-brown) – all are present and correct. Yet local questions of accuracy aside, there is a larger sense of foreignness in the Coffey’s idiom here. Why ‘to’ rather than ‘into Himself’? The placing of ‘hearing once the angel’ makes it difficult to establish if ‘They’ or the hydra are doing the hearing, while before line eight comes to its rescue ‘announced shouting his spell as drunk’ sounds like a more than usually unidiomatic Coffeyism. Depending on one’s scansion, line five contains up to nine stressed syllables, while line seven has only four. Is this Mallarmé meets Ogden Nash, we might begin to wonder. As Moriarty ruefully acknowledges, ‘Coffey’s translations do not soar, nor do they sing’, but the uncommitted reader may need more than quirky etymological witticisms to make up for this fact. I would now seem to have reached a familiar impasse, with Carson offering readability but semantic compromise and Coffey a stricter fidelity, but at the expense of any compelling verse music. I’m reluctant to leave matters there, however, so luckily for me I can appeal to another Coffey text in which this opposition achieves a rather different resolution. I mean his translation of Un Coup de Dés Jamais N’abolira le Hasard as Dice Thrown Will Never Abolish Chance, published in 1965 and never reprinted (the volume is also, I might add, a small masterpiece of book design by Liam Miller’s Dolmen Press.) Mallarmé’s poem is one of the foundational moments of modernism, akin to Webern’s Five Pieces for Orchestra or Malevich’s White on White. In it, the line of verse walks the plank into the nothingness that is perhaps Mallarmé’s truest element. Henceforth, the page is to be ‘prise pour unité comme l’est autre part le Vers ou ligne parfaite’: the page becomes a unit of composition unto itself, promoted to the status already enjoyed by the stanza or the line. Such is the typographical challenge represented by Mallarmé’s poem that the first fully accurate text was published as recently as 2004. Briefly, the poem is a meditation on chance and necessity. The poem chooses one of its infinite possible manifestations, but no matter how convinced it is of its rightness (and freedom is the consciousness of necessity, Engels said), the element of chance can never be abolished. Mallarmé’s ambitions for poetry as a synthesis of all the arts resembles Wagner’s for his Gesamtkunstwerk, but where Wagnerian opera is overblown and epic Un Coup de Dés is ethereal and evanescent. Un Coup de Dés is Finnegans Wake rewritten as a batsqueak in outer space. To the question what the poem is actually about, despite my earlier inelegant précis, there is no real answer beyond (cliché of avant-garde clichés) the process of writing itself: agreeing with Wallace Stevens, this text is very much the cry of its occasion, part of the res itself and not about it. Or, rather, this is a poem about the ‘ghost of a geste’ (another archaism there), since the poem ‘does not record any performed “act”’. Moriarty is quick to correct a rival translator who translates Mallarmé’s ‘fiançailles’ as ‘nuptials’ (Coffey has ‘betrothals’), the consummation having yet to take place. Where the applications of Mallarmé’s poem are concerned, for Irish poets, the consummation most certainly has yet to take place. The tired taxonomies of Irish ‘antiquarians and others’ are not something I propose to exhume here, but where questions of prosody and visual layout are concerned, I think it is safe to generalize that Irish poetry has proved extremely resistant to relaxing its grip on the safety-rail of the left-hand margin. The axes of formal versus free verse and tradition versus experiment criss-cross treacherously: Mallarmé is of the avant-garde even while writing sonnets, whereas in Irish poetry today to write a sonnet is, often, to signal allegiances incompatible with the faintest itch to hit the ‘tab’ key before beginning the line. While Un Coup De Dés should not be confused with concrete poetry, that genre too has fared equally badly at dislodging the hegemony of the left-justified lyric. Derek Mahon has dabbled in concrete poetry down the years, but in poems he has uniformly chosen not to collect and reprint. 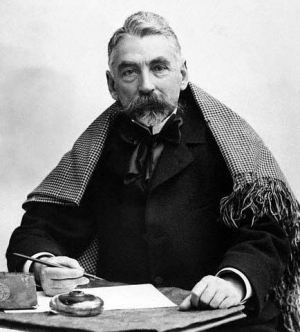 In his translations of Philippe Jaccottet, he has complained of the unreadable French poetry, ‘poésie illisible’, that would displace the lyric disciplines of the Swiss writer, suggesting any Mahonesque interest in Mallarmé would stop short of Un Coup de Dés. The fault-line between Mahon’s modernist temperament and his cleaving to lyric forms above all else has been one of the most influential arguments with oneself in Irish writing ever since Mahon’s début in 1968. The prose poem too, beloved of the nineteenth-century French tradition, might be added to the mix here as peculiarly antipathetic to the Irish tradition. Why is this? Writing to Hans Naumann in 1954, Samuel Beckett (whose translation of a Mallarmé prose poem has finally been restored to the canon in his Collected Poems) punningly insisted on ‘le besoin d'être mal armé’, his artistic need to be ill-equipped. More than a century since his death, the overwhelming audacity of Mallarmé’s work continues to wrongfoot all attempts to accommodate his poetry in English. This is both scandalous and all to the good, since nothing like the point of over-repletion with translations of Mallarmé has yet been reached. Much work remains to be done, whether in the style of Coffey, Carson, or Manson. While the absent ‘ptyx’ of the sonnet ‘en –yx’ may continue to elude us (and just what the hell is a ptyx, by the way), the ghostly shell of himself that is Mallarmé in English provides like few other poets, for anyone picking him up to listen, a ‘conch in which the exiled sea is heard to moan’.